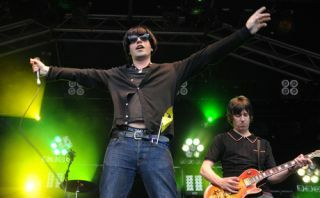 The Verve's Pete Salisbury has been announced as temporary drummer for The Charlatans. Salisbury will sit in with the indie rockers while Jon Brookes is treated for a brain tumour. Brookes collapsed during a US gig with the band last week and has since been flown back to the UK for treatment.